Fade is a major character in VayneLine and is a good friend of Gauge. She is the first one added to the crew of the Blue Dragoon after its initial hijacking, as they saved her escape pod during their escape out of the Terra system. She is fiercely loyal and caring to those she is close with and cold to others. Calculated and controlled she is careful about her actions but due to a problem in her AGEd creation her major failing is a severe lack of control over her anger which she constantly laments when she is calm. 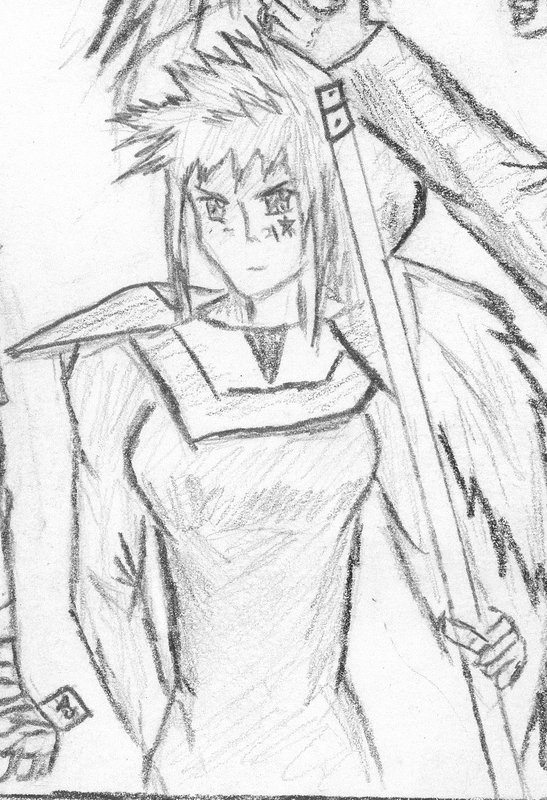 Fade is very conflicted, she has tremendous mental ability but often hides it behind her physicality. Fade is extremely smart as this was one of the major traits of her creation. Learning quickly how much intellect can intimidate others, her intellect is largely suppressed around others. She learned to act ‘like one of the guys’ and adopts this interaction style even though it is not her natural state. Occasionally coming off as awkward, she is very earnest. She was AGEd to be a starship weapon’s officer – as thus has very elevated combat skills regarding trajectories and firing arcs as well as reflexes and practical math/physics understanding. Fade is capable in melee combat but her real strength is in ranged combat and has saved those on her team multiple times with what other’s called miraculous shots. Though she was not part of the first four, given she joined right after all four of the guys view her as one of the originals in many ways. Reno and her get along very well due to many similar philosophic outlooks as well as both being arguably the two smartest on the crew. Fade is a very good combatant, her ranged skills are extremely high due to her AGEd past, and her relentless training has pulled her melee/unarmed skills into respectable territory. One trick that impressed Gauge and Eirik is having the two of them toss a ball while she stands perpendicular and knocks the ball out of the air with her own. Both of them thought it was far easier than it seemed, it wasn’t. Fade lived a conflicted life, even her appearance of her mixed purple/gray hair causes her some degree of anguish. In a existence where everyone is ‘perfect’ her flaws grate at her sense of pride constantly. A major trait of Fade is the constant internal battle between her high innate skills and her flaws. There was a mistake in her AGEing of which caused a psychologically damaged short-temper. She is normally highly in control but certain things will that elicit anger has the high chance of provoking blinding rage. These moments have led to many of fights the group has engaged in. She has a high degree of regret after this occurs. There is constant tension between her and Priestess Arianna due to them both liking Gauge. Fade isn’t deterred by her status at all, but is constantly caught up on if Gauge would like someone ‘broken’ like her, and hopes her loyalty and devotion makes up for it. Fade’s preferred melee weapon is a jo staff – a shorter version of a bo staff. Fade prefer’s light armor due to her wanting maximum mobility for melee combat, also due to her role as a ranged fighter is less likely to need it. Fade is actually fairly spiritual, and when asked about it says it is a ‘logical’ conclusion given the facts. In terms of raw intelligence she is likely the smartest member of the crew, with Reno being the only other one in the running.